Mood swings in menopause are so common that they are even joked about in television shows and films. But it’s no laughing matter when they affect your life! Never mind four seasons in one day — a menopausal woman can experience 10 moods in one hour, ranging from sorrow to rage. The unpredictability can make things very difficult at home or at work. Menopausal mood swings are not only very hard to predict, but can be even harder to take control of. Even if the woman affected is fully aware that her tears or temper are completely out of proportion to the situation, it’s not often easy to translate that knowledge into positive action to improve her mood. Let’s take a look at what causes the issue in the first place. 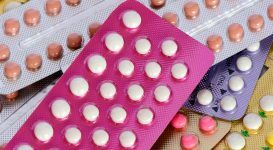 It will come as no surprise to learn that hormones are once again to blame. Hormones, such as estrogen, influence the production of serotonin, which is a mood-regulating neurotransmitter. 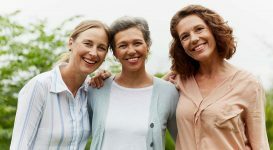 As these hormones fluctuate during perimenopause and beyond, women can experience real and sudden extremes of emotion, including irritability, anxiety and sadness or melancholy. They may feel less tolerant, less patient and less willing to bite their tongue! This obviously can cause issues in the workplace and with relationships. Each mood can evaporate as quickly as it appeared, leaving those around confused and bewildered by the uncharacteristic behavior of the Jekyll and Hyde type character they are dealing with. My own family is familiar with this kind of problem. I am properly menopausal now, and joke that during perimenopause I occasionally wanted to kill my husband for some minor infraction (like leaving the lid off the marmalade) then revive him just so I could kill him all over again in a new and more imaginative and painful way. I could see his face as I ranted about something as ridiculous as him forgetting to buy milk — he quite obviously thought I had gone stark raving mad! Diaper adverts had me in tears — but then so did even the thought of my children moving up a class. Don’t even start me on road rage! I sometimes wonder if menopausal women should be issued with soothing music to play in the car as tolerance levels plummet along with estrogen. 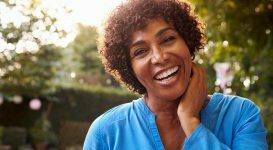 Luckily, mercurial mood swings often become less frequent and sometimes disappear altogether as menstruation ceases during menopause proper (defined as after one full year with no period). So if this is your situation, you might be wondering what is causing the seemingly uncontrollable extremes of emotion now that Aunt Flo has paid her last visit. 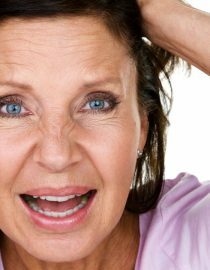 Unfortunately, mood swings can also be the result of other menopause symptoms. 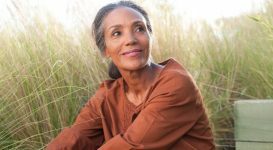 Women in their 40s and 50s are often stretched already by work and home stresses, possibly trying to deal with teenagers and aging parents, or empty nest syndrome and changes in personal and intimate relationships. As a result of the havoc of fluctuating hormones, they may suffer from fatigue, sleep problems, hot flashes, sexual and intimate health issues and other symptoms that can directly contribute to problems with mood and emotion. Depressing, isn’t it? Actually, depression can be a real issue so it’s always worth mentioning your symptoms to your doctor. Past mental health issues, stress, trauma and life changes, along with some health problems including diabetes, can all make a diagnosis of clinical depression more likely. The good news is that there are measures you can take to level out your mood and possibly even eliminate drastic swings altogether. I know it’s dull, but eating well and exercising regularly really could make all the difference in how you feel. 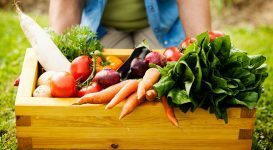 Diet can play a vital role in your mood. A bad diet or one full of caffeine and refined sugar can cause your energy levels to soar and crash, taking your mood with it. A healthy, balanced diet will keep your energy levels and mood much more stable. Complex carbohydrates, such as those found in whole grain breads, peas and beans can help raise serotonin levels, improving your mood. Having dried fruit will keep your blood sugar more stable than chocolate, cakes and candy. Try eating small and regular meals and avoid alcohol, especially if you realize you have started relying on that evening glass of wine or beer to relax. Many people believe there is a link between magnesium levels and mood. 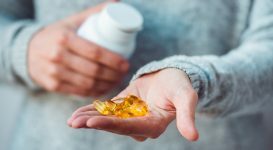 It’s thought that that low levels of magnesium can result in low mood and poor sleep, and so taking a supplement may help with your symptoms. Consider learning self-help techniques like rhythmic breathing — many smartphones and gadgets now have apps to use for teaching good breathing, relaxation and mindfulness techniques. My smart watch reminds me to take rhythmic breathing breaks throughout the day and I have found them calming and relaxing. Talk. Whether it’s to a therapist, good friends or family, it’s important to communicate how you are feeling. Those close to you will be much more understanding if they realize it is usually your hormones driving the emotion, not them. Take time for yourself and maybe take up a hobby that will benefit your body and/or mind. Maybe there’s a creative outlet you’ve always wanted to explore or a sport you’ve always fancied trying. If you don’t look after yourself you can’t look after those around you. Identify stress points and try and eliminate them. For example, maybe you could leave for work earlier (or if possible later) to avoid a stressful commute. Build time into your day for yourself, make sure you get enough sleep, and learn to say no when you know you are really too busy to take on any more responsibilities. If you still feel controlled or overwhelmed by your mood swings, seek help from your doctor. 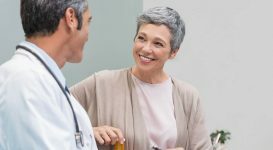 They may be able to prescribe drugs to get you through, ranging from HRT to anti-depressants, or recommend a therapist or natural remedies that might help. When afflicted with menopause symptoms it might help to remember that someone somewhere has found a way to make the whole thing into a joke.